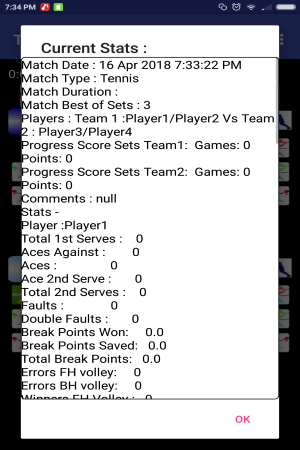 Tennis Match/ Stats Scorer, basically score tennis matches by clicking players winners and errors. 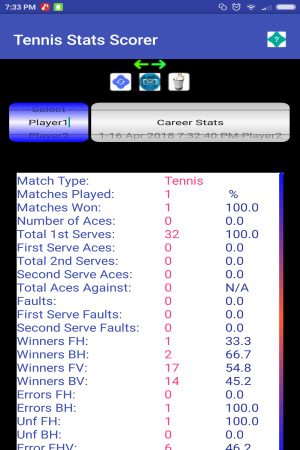 The match, players stats are maintained for every match, which can be reviewed and used for enhancing a players game and for general tennis scoring of a match. 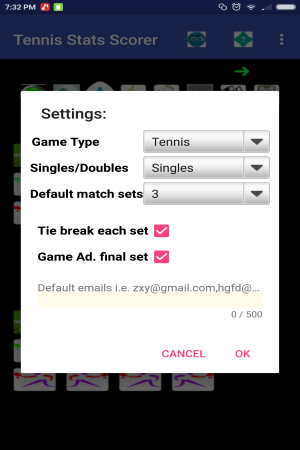 Allows for singles, double, tie break, advantage sets etc ... Allows addition of user defined players, Match comments , data export and emailing stats etc. 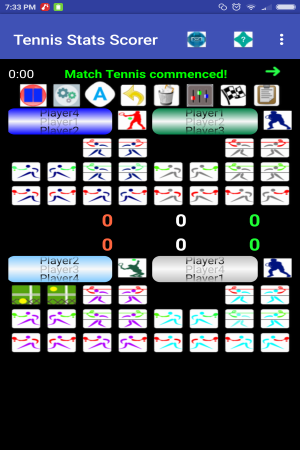 Setup players club player matches, competitions. Can be used as a coaches, trainers aid. Easy to use also contains Media Player. Featuring onLine Radio with 250+ world wide stations, play local device music , videos (mp3,flac,avi etc). Play various Sudoku and Tic-Tac-Toe games.